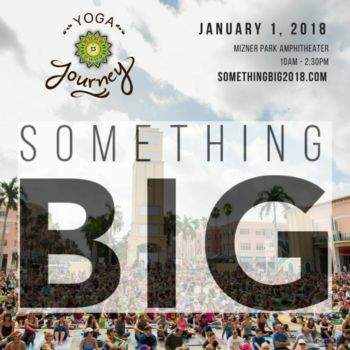 This New Year’s day, Yoga Journey will be hosting its 4th annual FREE outdoor yoga gathering and mega class at Boca Raton’s Mizner Park Amphitheater. This momentous event is an incredible way to bring the community together for a one of a kind New Year’s Day experience. 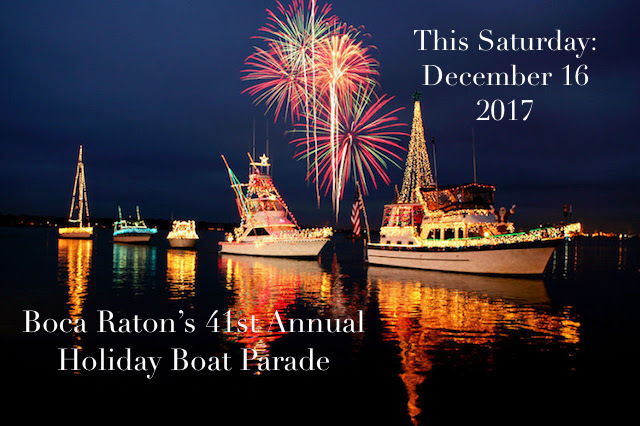 The mega class will be led by one of Boca Raton’s renowned yoga instructors, Leslie Glickman, accompanied by international recording artists DJ Drez and Marti Nikko. Check-in for Something Big 2018 begins at 10:00 am, with the mega class starting at 11:00 am. The event lasts until 2:30 pm and will also feature a marketplace with tons of great yoga products, gifts, and free giveaways, as well as gourmet food trucks serving up healthy options. As always the event is totally FREE, however, advanced registration is strongly encouraged. Sign up for Something Big 2018 now to speed up check-in so that you can browse the marketplace and find the perfect spot for your mat before the class begins. All experience levels and All ages welcome! What better way to start the New Year off on the right foot, than connecting with over 2000 like-minded fellow community members all joining together to practice great yoga to incredible live music. Something Big 2018 is sure to inspire you to keep your resolution to make 2018 your healthiest and happiest year yet!